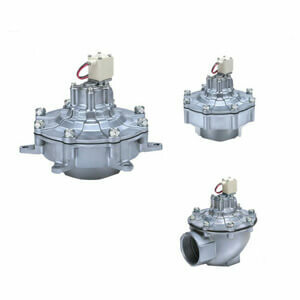 The New VXF2 2 port solenoid valve for dust collector has added larger port sizes and the flange and flange body type. The VXF2 also has a low noise construction with the option of a silencer. The VXFC controller is dedicated for the VXF2.